The Chennai Super Kings hosted the Kings XI Punjab at MA Chidambaram Stadium in Chennai. On one hand, where KXIP looked forward to bettering their record against CSK, the hosts were looking to make a comeback from their recent loss against the Mumbai Indians in Mumbai. In the end, it was Chennai Super Kings’ all-around performance that led them to a 22-run victory against the KXIP. After winning the toss, the hosts elected to bat first. The openers Shane Watson and Faf Du Plessis gave a good start to CSK. Particularly du Plessis who was smashing the ball all over the park. After bringing up a half-century from 38 balls, hitting a couple of fours and four maximums, du Plessis made way to the pavilion on 54 runs. CSK beat KXIP by 22 runs. Now, let’s check out some stats of the match. 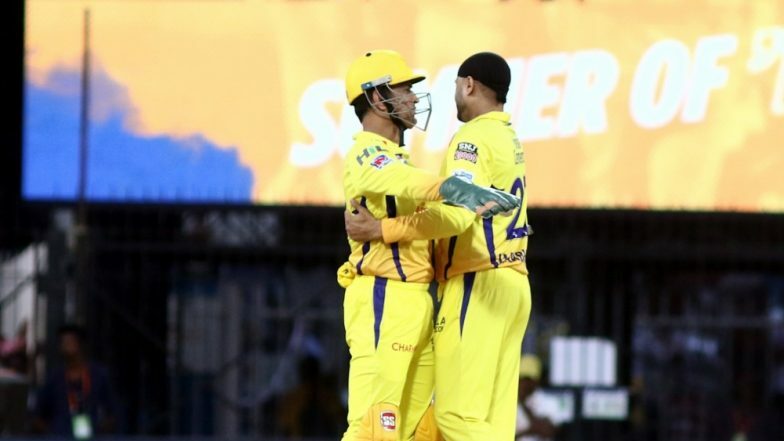 # Chennai Super Kings got the highest opening partnership in the IPL 2019 with an 80 run stand between the Shane Watson and Faf du Plessis. # KL Rahul brought up his 12 half-centuries in the IPL. # Sarfaraz Khan scored his first half-century in the IPL. # Faf Du Plessis made his 10th half-century in the Indian Premier League. Chennai Super Kings will now face the Kolkata Knight Riders on Tuesday, whereas will face the Sunrisers Hyderabad on Monday, April 8, 2019. Meanwhile, stay tuned to our page for the live updates of SRH vs MI.